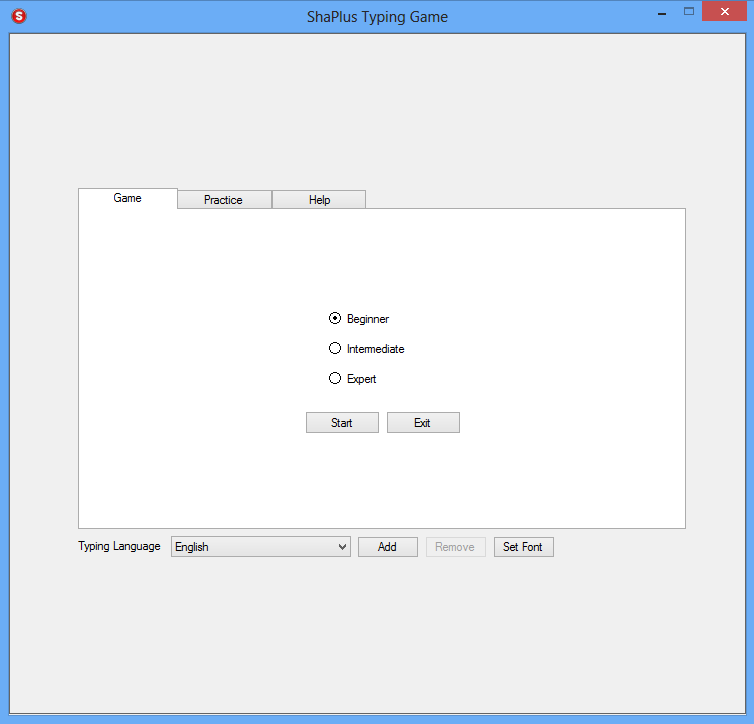 Simple game to practice and improve typing speed. 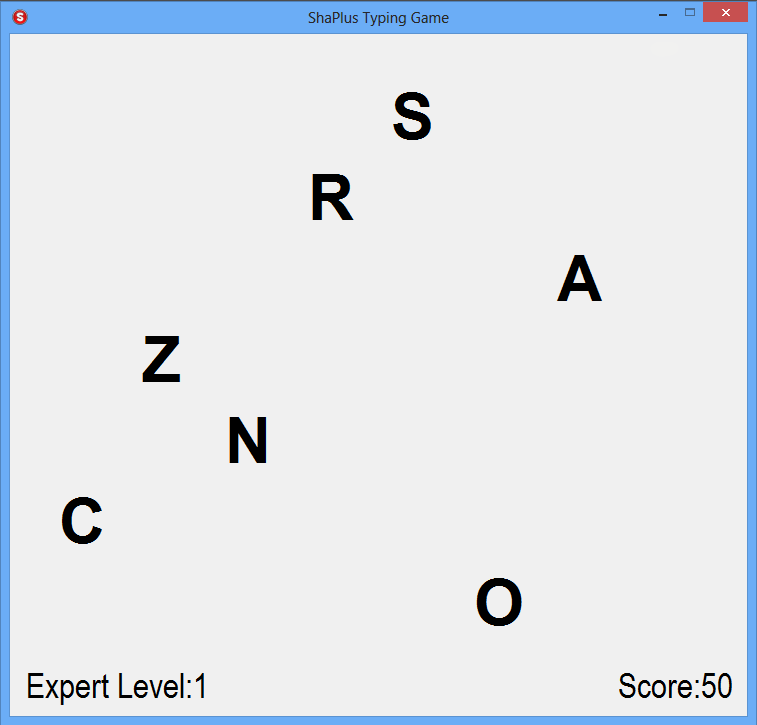 Objective of the game is to type the falling letters before it hit the bottom. Game mode : In game mode there are 3 levels, Beginner, Intermediate and Expert. Depending on the mode the letters will fall faster. The game is to type maximum number of letters before any of the letter hit bottom of screen. Practice mode : In this mode user can directly select whichever level he needs to practice. And also there is option to select the keys that are to be practiced. There is option to save upto 10 sets of practice keys.